putting the right products in the hands of B2B customers. On the one hand, this means enabling SaaS companies (Security as a Service) with business intelligence, matchmaking and channel management tools, so that they can quickly pinpoint which IT resellers to work with and recruit them. On the other hand, it means empowering IT resellers to identify, aggregate and bundle the right SaaS products for their customers, within a straightforward white-label web store. 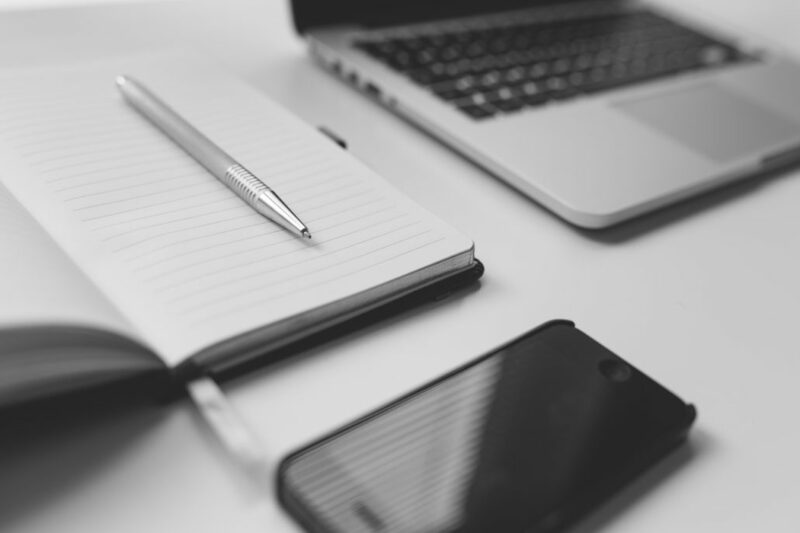 For both parties, it means managing recurring billing and commissions, and tracking referrals. 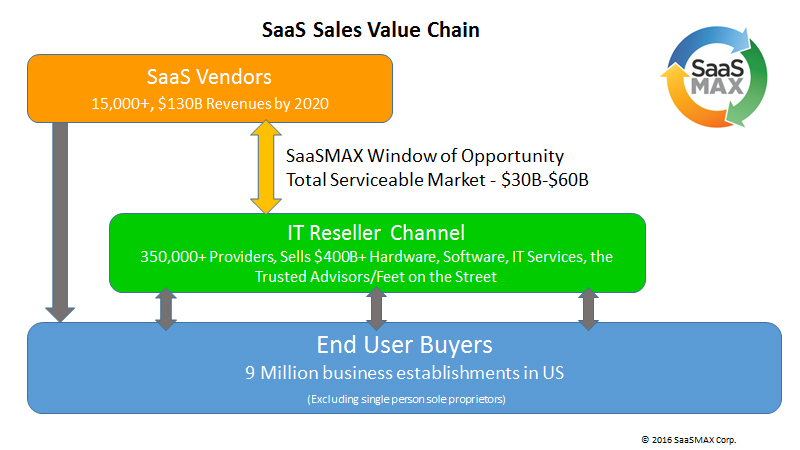 In doing so, SaaSMAX broadens the base of prospective SaaS customers, lowers customer acquisition costs, enables faster time to market and enables new recurring revenue sales that compound over time for SaaS companies and IT resellers alike. Currently, SaaSMAX, the marketplace is experiencing its strongest growth and demand in cloud-based cybersecurity solutions. In addition, SaaSMAX’s new proprietary business intelligence tools for profiling and matchmaking IT resellers are being adopted by major IT enterprise companies as a separate offering known as PartnerOptimizer™. Notable trends/ideas: Cybersecurity is top of mind to SaaSMAX’s IT Resellers and the IT Channel in general, who are responsible for keeping their business clientele protected from cyber threats and attacks. To accommodate this trend and the growing demand, SaaSMAX has been assembling an arsenal of Security-as- a-Service products and is setting IT Consultants up with “white-label” cybersecurity web stores, complete with quote-to- cash billing. Dina Moskowitz, CEO: Dina Moskowitz has been a leader and consultant to cloud-based, SaaS and other technology companies throughout her career. Prior to SaaSMAX, Moskowitz was CEO and founder of Critical Digital Data Solutions Inc., which developed cloud-based data storage solutions. She has earned many awards and recognition in the IT Channel, and serves on the Vendor Advisory Council at CompTIA,the Board of the Small Business Web, and the Foundation Board of Seacrest Village Retirement Communities. Clinton Gatewood, Vice President, Reseller Partner Development: Clinton Gatewood brings a broad range of professional experience, from serving in the US Army, to extensive sales, marketing, channel and business development experience in the IT space. Clinton was VP Corporate Development for Zenith Infotech, LTD, during which time he built channel distribution for their enterprise network management solutions, recruiting thousands of channel partners. Ted Finch, Chief Channel Marketing Officer: Ted Finch is one of the top channel and marketing experts in the high-tech industry, having launched over 450 products into the channel for over 200 vendors, including Microsoft, HP, Adobe, Corel, Intel, and many others. He has consulted with over 170 Fortune 500, mid-sized and start-ups including several storage software and hardware vendors. Interesting Facts: Most people and companies do not think about their “IT Consultants” as belonging to an industry sector, or how they actually impact and contribute to the economy. However, there are actually 140,000 firms and an additional 199,000 sole proprietors that are part of the industry sector named “The IT Channel,l” responsible for reselling as much as 80% of hardware, software and IT services in the US ($400B+) annually, according to research by CompTIA, the leading industry trade association for the IT Channel. The largest enterprise technology companies, such as Microsoft, Intel, IBM, HP, etc., go to market through the IT Channel.